Are you a fans of SNSD and BABY-G? Girls' Generation is now BABY-G new brand ambassador. 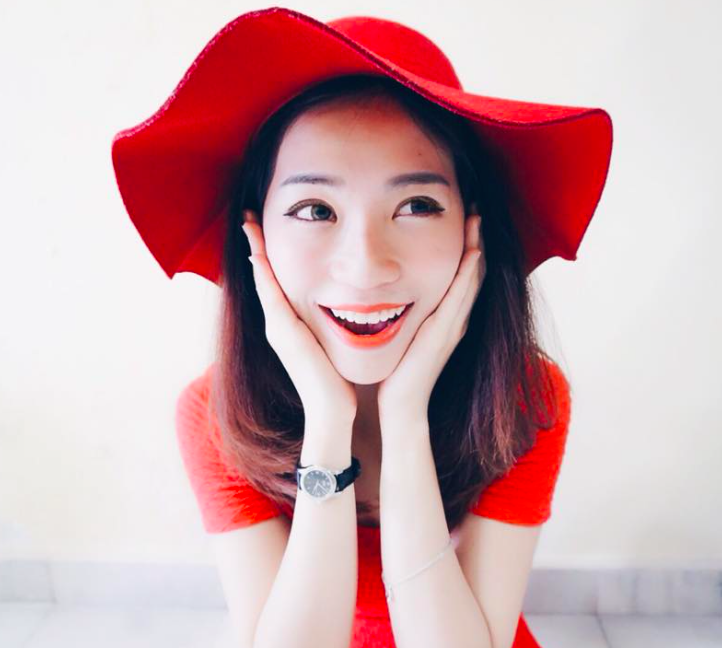 K-pop fever has gripped South East Asia and indeed the rest of the world in the last few years, and South Korean girl group Girls’ Generation has become a familiar name to young Malaysians of all races. 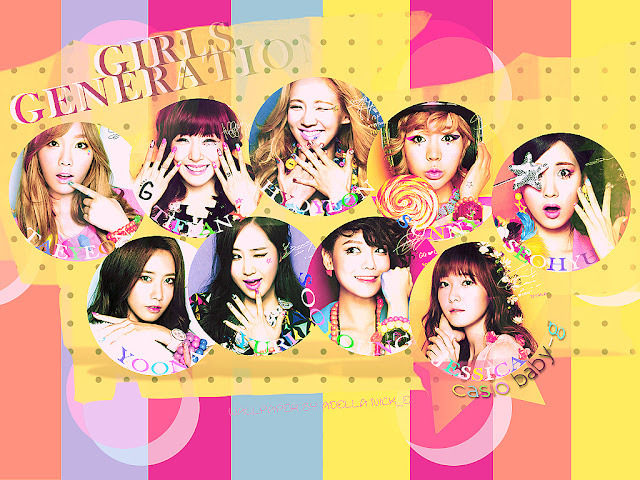 Taeyeon, Jessica, Sunny, Tiffany, Hyoyeon, Yuri, Sooyoung, Yoona, and Seohyun are the nine members who make up the South Korean girl pop group Girls’ Generation. The group gained attention early in their career with the songs "Into the New World" and "Kissing You" but it was in 2009 that they took South Korea by storm with their hit single "Gee". There was no turning back from there on as the Girls’ Generation began to conquer the Korean music industry with follow-up singles "Tell Me Your Wish" or better known as “Genie”, "Run Devil Run", and "Oh!". Due to online media platforms like YouTube, they also started to garner fans from across the region with millions watching their videos. In 2011, they returned to the Korean music scene with "The Boys", which was released in three languages: Korean, Japanese, and English. Girls’ Generation have sold over 100,000 copies for each of their six Korean releases, and impressively within five years after debut, the group has sold a total of over 4.4 million albums and 30 million digital singles. The girls have become fashion icons not only in South Korea but throughout Asia and so it’s no wonder that Casio Computer Co. Ltd. signed Girls’ Generation as the face (or rather faces) of a Baby-G advertising campaign that began in July 2012. 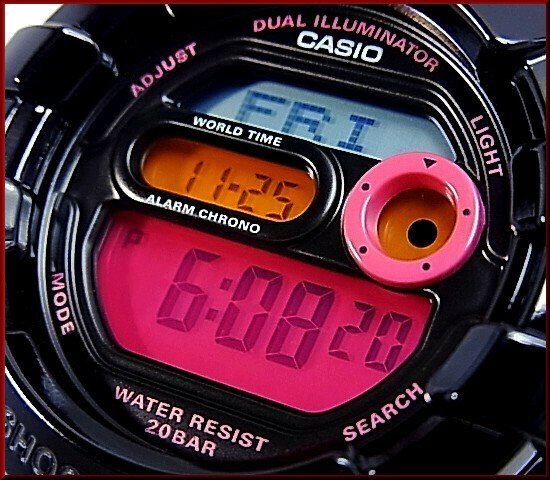 Girls’ Generation embodies the “tough, cute, cool” concept of Baby-G, Casio’s shock resistant watches for women. Launched in 1994, Baby-G is Casio’s watch brand for young and trendy women which inherits the toughness of the shock-resistant Casio G-SHOCK watches. 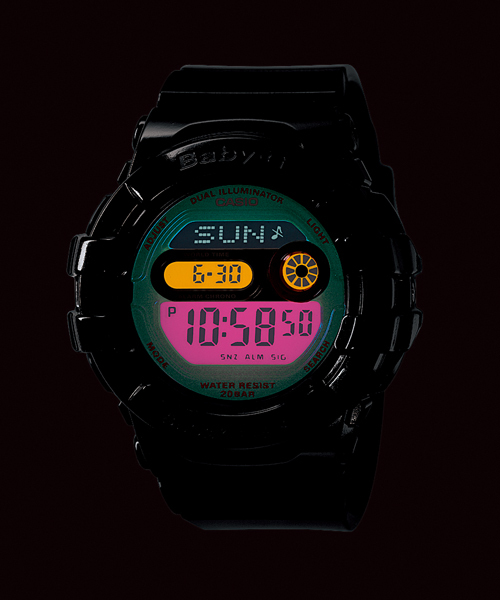 Since then, the basic shock resistance and superior waterproof performance of Baby-G has evolved with additional features and higher performance, including solar-powered systems and neon illuminators. The multiple Baby-G designs not only taps the latest fashion trends but also allows individual expression with limited edition models available every now and then, and are available in a rich spectrum of colours making Baby-G watches a highly versatile fashion accessory. Girls’ Generation as a highly versatile girl pop group whose members not only sing, but also appear as models and actresses on TV, in commercials, and in films, is the ideal match for the Baby-G brand. Also known as SNSD among their fans (who are called ‘Sone’) the group is adaptable yet tough, active, sporty, healthy, beautiful and complemented by the individuality of each of the nine members’ fashionable lifestyles. Girls’ Generation will represent the face of the brand in South Korea, China, Hong Kong, Macao, Taiwan, Vietnam, Thailand, Indonesia, the Philippines, Malaysia, Singapore, and Australia. Baby-G Tough & Cute A unique fusion of function with fashion. Baby-G provides toughness & technology but not forgetting to maintain ladies' style, sweet & fashion. Girls' Generation introduced me to K-pop so they'll always have a special place in my heart even as I explored other artists.